Are you in need of housing? Gästrike-Hälsinge Nation’s Foundation for Student Housing offers current and future members the opportunity to apply for student housing. Gästrike-Hälsinge Nation’s Foundation for Student Housing rents out 174 rooms, 25 doublets, 5 rooms with a kitchenette and 24 apartments at Studentvägen in Uppsala, along with 24 apartments in the newly built houses in Ekonomikumparken in Uppsala. Our housing system is based on accumulated ‘accommodation points’. You gain points for each semester you remain a member of GH nation though you can also gain additional points if you become active at the nation, for example as a club worker or volunteer. You then apply for housing by showing an interest in a free room/apartment and whoever has the highest amount of accommodation points is offered the opportunity to sign for it. 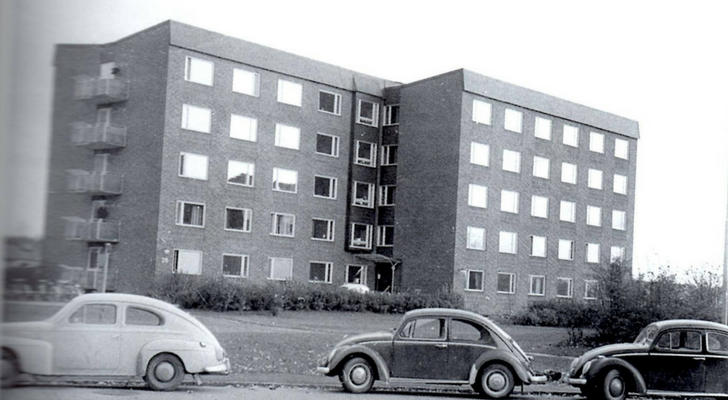 To fulfill the requirements necessary for applying for housing you need to be an actively studying member of Gästrike-Hälsinge Nation for the period of time you wish to apply. If applying for a doublet the following conditions must be met: A doublet cannot be obtained by a single applicant. Both applicants need to be actively studying members of Gästrike-Hälsinge Nation. If applying for an apartment at Studentvägen or Ekonomikumparken the applicant needs to have been a member of Gästrike-Hälsinge Nation for at least three semesters and be actively studying. Rooms are not furnished. Kitchen equipment is not included. The living area is around 18 sqm including the hall and toilet. June and July are rent-free months. The single room buildings (6, 28, 30) have 5 floors without an elevator. The kitchen and showers are shared with additional bathroom, a sauna and a free laundry room available in the basement. Houses 6, 8, 28 & 30: Corridor. Single rooms. Shared kitchen and shower. House 32: A room with basic kitchen (Amount: 5). Shower in the basement. A kitchen-sink, shelves and stove with an oven are available in the room’s hall space. Elevator in the building. House 32: A single room in a doublet. Own room, a part of the hall, kitchenette and shower with toilet. Elevator in the building. House 32: A doublet. Two rooms, hall, kitchenette and shower room. Elevator in the building. Houses 19 & 21: Apartments. Three rooms with a kitchen (Note: No dining space in the kitchen). The living area is around 65 sqm. Unfurnished. Electrical bills are not included in the rent. The first weekday of every month the office is open from 8-11 and 13-16 regardless of which day it is. Studentvägen 28 shortly after the building is complete.